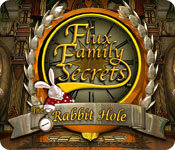 Flux Family Secrets - The Rabbit Hole is rated 3.2 out of 5 by 16. 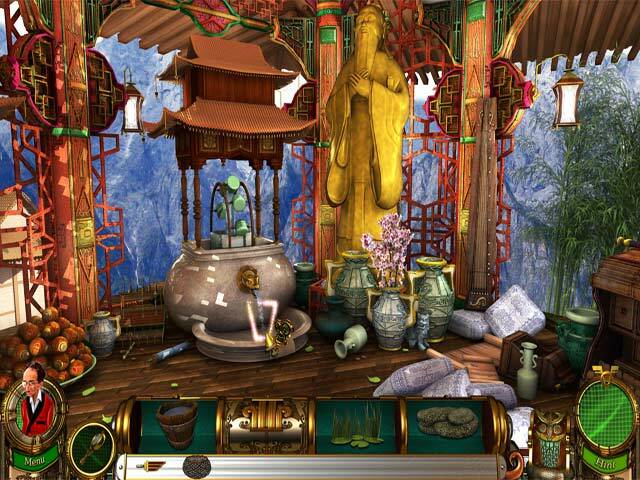 Rated 5 out of 5 by Yx_Philly13 from WOW! I just finished playing this game, & it was really something! Everything was just great! Excellent graphics, beautiful scenes! The storyline was awesome & the way the history events were included was very, very clever! Younger players could learn about history in a fun way. This will be one of the games I will remember always & will talk about for a very long time! Rated 4 out of 5 by pennmom36 from Flux Family Secrets: The Rabbit Hole SE In the First episode of Flux Family Secrets: The Ripple Effect, we followed Jesse in her quest to find her real family. She was contacted by a mysterious woman named Veronica Flux, who explained that she might be a long lost Flux family member. When she arrives at the Flux Mansion, she is given several tasks to complete that would prove whether or not she is indeed a Flux, and she passes with flying colors! Veronica explains that her family has the ability to travel through time, and "fix" history that has already happened in our past. She asks for Jesse's help fixing the latest history mishap caused by an unexpected Ripple Effect, but finds herself trapped in the past because Veronica had betrayed her! She learned of a device that would thwart her family's betrayal and return her to the Flux Mansion, however, the device returned her 30 years in the past! Together with the help of her own self 30 years younger, she must seek the help of her grandfather, to find him means she must first find the Rabbit Hole! 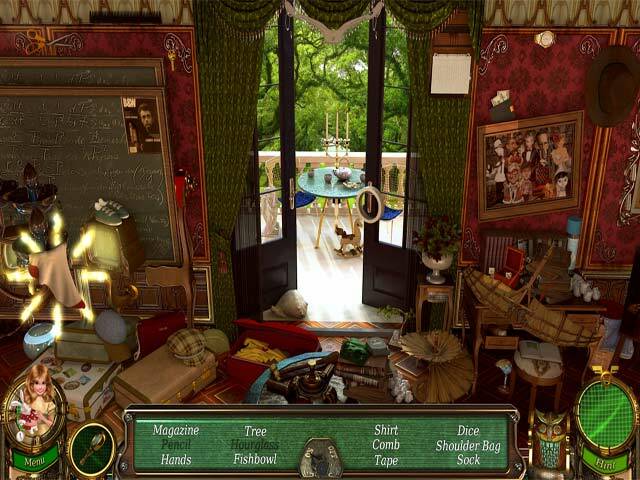 This is an unusual style of Hidden Objects, you must search each room of the mansion for fragments of an object, and then replace that completed object where it belongs, somewhere in the mansion. The objects shown in the inventory tray can be found in your current location, if the object is dimmed, you will need to search in another location to find it. Once the object is placed, you will get to solve a puzzle such as lining up symbols on rings (clicking on one ring might affect other rings) There are normal HOP's with listed items, words in blue mean the object is hidden. You can use the magnifying glass to zoom into specific areas of the scene and this feature is available for all aspects of the game not just the HOP's. There are 10 hidden Flux Badges which will give you bio's on each Flux family member, and there are 10 hidden History Badges which give you bios on famous people such as President Lincoln. The Collector's Edition has Concept Art sketches, Desktop Patterns, Screensavers, MP3 Music Tracks, High Scores, a built in Strategy Guide and a Bonus Adventure, enjoy! Rated 4 out of 5 by ouncible from The game that convinced me HOGs could be fun It's an adventure/HOG hybrid with some interface niceties. While I often find the HOG format to be a bit irritating, and this game does have the "common sense does not apply" problem, it's attractive and engaging. I play the HOG parts with my spouse when we're too tired to play anything competitive. The puzzles are not especially difficult, but again, are mostly enjoyable. All in all, a very polished game. Rated 4 out of 5 by pedroog from Perfect Relaxation Game I generally don't like HOG, but this one was beautifully done. It was fairly easy, but because the graphics were so well done, it was enjoyable rather than tedious. Rated 4 out of 5 by Rebr2009 from Very cute and enjoyable game I bought this game in 2010 and still find a very good game. Excellent graphics, colorful and crisp, very good sound, cute story told by the pretty little girl. Many locations, good amount of HOS and several amusing mini games. Not really challenging game, but enjoyable and entertaining. It is not long, but provides pleasant and fun moments. Great for relaxing and spending time. Rated 4 out of 5 by joggle from Challenging but too short! A brilliant game that unfortunately leaves a user gasping in surprise at the sudden end but 'to be continued', why is the next title not yet released? It was even better set up than the 'ripple effect' especially the byplay and how one went from scene to scene. The history put in was also nice but there was no ending to the game; one is suddenly left high and dry in the middle of the game. We are waiting for the next title, be soon or we will look at another game. 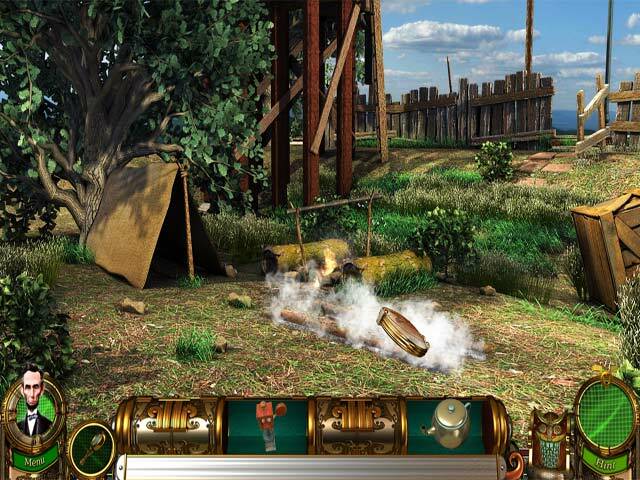 Rated 4 out of 5 by zorabelle from Fine Fun As Jesse continues her adventures from the first in this series,I see the game has improved very well.The graphics are colorful and lush.The story line is good and there are many different locations to explore so you are not going back and forth to the same scenes.It has now added hidden object scenes in addition to the usual fragmented objects.Overall,it is a fun game that is not hard and the music is good as well as the fun sound effects. Rated 4 out of 5 by AwesomeMcPower from An all around fun game. It tied wonderfully into the other Flux family game. It's simple, gratifying, and impossible to quit! I played this from beginning to end in a relatively short amount of time, but the level of challenge is lower than I'm used to playing. It transitions from scene to scene quickly, and the style of seek and find is neat. Rated 3 out of 5 by neilskinut from ok game Different kine of HOG but fun to play. Gets a little old after awhile finding the items to put together. Not a bad game just like more storyline. Buy when it is on discount. Jesse is back at Flux mansion after thwarting the efforts of her nemesis, Veronica, but this time 30 years in the past!